Today is the day to bowl your heart out! It’s the day we’ve been waiting for! The NYAAF Bowl-a-thon is today, and we can’t wait to welcome you to Chelsea Piers! This has been an amazing year, and with your incredible fundraising efforts, NYAAF has broken the New York and National Abortion Fund records!We have now exceeded our goal by over $15,000! 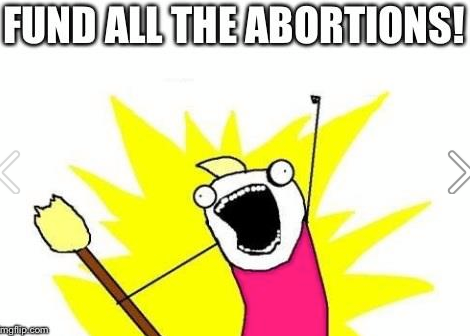 After all this hard work, we can’t wait to celebrate with you and strike down barriers to abortion access! Doors open at 1:15pm, and bowling begins at 1:30pm! When you arrive, we’ll check you in, and give you a lane assignment and shoes. Be sure to know your team name in order to check in! Have any last-minute questions? Check out the Bowl-a-thon page to find out everything you need to know! We want to take a moment to thank each and every one of you for your efforts along the way. The Bowl-a-thon is our biggest fundraiser of the year, and the opportunity to make an incredible difference in the lives of people who, without this help, would not have access to critical medical services. You’ve helped us make this year’s Bowl-a-thon the best one yet. We can’t wait to see you this afternoon! Everything you need to know to bowl on Sunday! The Bowl-a-thon is at Bowlmor Lanes at Chelsea Piers. It’s at Pier 60, near West 23rd Street and the West Side Highway. It may be a little tricky to find, so we’ll have volunteers out front. Doors will open at 1:15, and bowling will begin at 1:30. When you arrive, you’ll check in with volunteers, get your lane assignment and shoes. If you have any offline donations (i.e cash or checks) this is where you’ll turn those in. Remember, all checks must be made out to the New York Abortion Access Fund, not NYAAF. Drink tickets will be available for $5. They’ll be sold at the registration table, and we’ll have volunteers circulating with them, as well. Most importantly, we may have exceeded our $100K goal BUT every single dollar raised is still so important! Don’t miss this last chance to raise a few more dollars and make this year’s Bowl-a-thon our BEST ONE YET! P.S. Are you or someone on your team unable to join us on Sunday? No problem! Just send an email to alison@nyaaf.org and let us know, so we can make lane assignments. 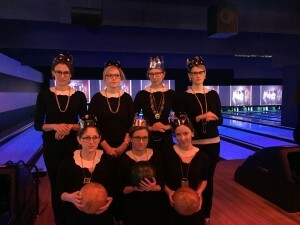 Pro-tip: YOU are the secret to Bowl-a-thon success! ▪ Step 1: Get some inspiration from NNAF’s “Bowl-a-thon Page of the Week” blog series (last week’s winner here!) or by simply clicking around the Bowl-a-thon homepage and perusing the pages of other teams/bowlers. 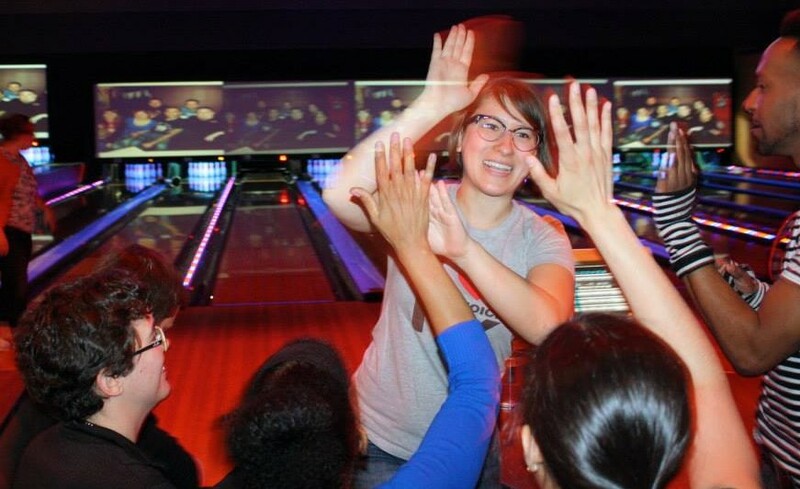 ▪ Personal stories about why you support NYAAF, abortion funding, or bowling. ▪ Step 3: Put it all together! Simply log in to the Bowl-a-thon site, select Edit Your Page from the menu on the left, and then select Customize Your Page. Here, you can post your memes and GIFs, manage your photos, change your fundraising goals, and edit your mission statement. ▪ If you need more help, you can contact the NNAF here, or just send us an e-mail directly. We’re happy to answer your questions, provide inspiration, and help you make your page the best ever! ▪ Step 4: Collaborate! Once you have your page ready to go, you can do other cool stuff, like…..
Our Top 3 Bowl-a-thon Fundraising Tips! Hey There, Bowlers! We know what you’re thinking – you’ve set up your team, you’ve got a fun team name, and you’re raising money – but you’re wondering what else you can do to surpass your goal. Well, we’ve got you covered with some great fundraising tips, and our Top Three Ways to Raise! First things first, make sure you’ve snazzed up your page! Your donors aren’t only giving to an awesome cause. They’re also giving to an awesome individual: YOU. What’s a fun and easy way to remind them of this? Personalize your Bowl-a-Thon page with touching stories, selfies, memes, GIFs and more! You’ll also want to make sure that you take a look at our list of great fundraising tips! From your first point of contact right down to the thank yous for all those donations, our guide has everything from the best way to reach out to getting into a fundraising rhythm. Check out our step-by-step on ‘How to be an Awesome Bowl-a-thon Fundraiser’! Top Three Ways to Raise! Organize an event! The possibilities are endless! Have a bar night, throw a house party, have a bake sale, or even host a stoop sale (weather permitting!). Think you have what it takes to organize a successful fundraising event, but need a little help connecting with the right folks to make it happen? Great! Send us an email to info[at]nyaaf[dot]org (subject line: “Events”) with your idea, and we’ll get in touch to help. Offer perks/rewards for donations! No time to throw an event? Consider offering perks à la Kickstarter for donations! Have a large social media following? Consider posting a tweet or blog publicizing your donors’ project! Have stellar cooking or baking skills? Make a meal or treat for select donors! The possibilities are endless and everyone has something awesome to offer. Use your talents! Are you a musician or an artist? Do you have amazing cooking/writing/social media/organizing/styling skills? Consider using your particular talents to offer your donors a free song, piece of art, consultation, or workshop. It’s a way to show your passion while incentivizing potential donors, all while having fun! NOTE: Don’t forget to log your cash donations on your Bowl-a-thon page! Make sure that any checks are made out to ‘New York Abortion Access Fund’, instead of NYAAF. We want you and your team to get credit for all your hard work! As we get ever-closer to the best Bowl-a-thon EVER, we want to thank you for being awesome Bowl-a-thoners! As always, please reach out to us if you have any questions. Hello amazing supporters! The NYAAF Bowl-a-Thon Fundraiser is back and better than ever! Whether you want to help a great cause, support an existing team, or you’re eager to show off those bowling skills, find out more about the Bowl-a-thon here. The Bowl-a-thon is what allows NYAAF to continue our vital work. It’s the event that keeps NYAAF’s services available to those who need it most. That’s why we need your help! This year, we’re aiming to break Bowl-a-thon records & raise an amazing $100,000! Will you help us achieve that goal? We’ve compiled this handy list of FAQs, but if you have additional questions feel free to reach out to us, so we can get you bowling! Click the jump to read more.